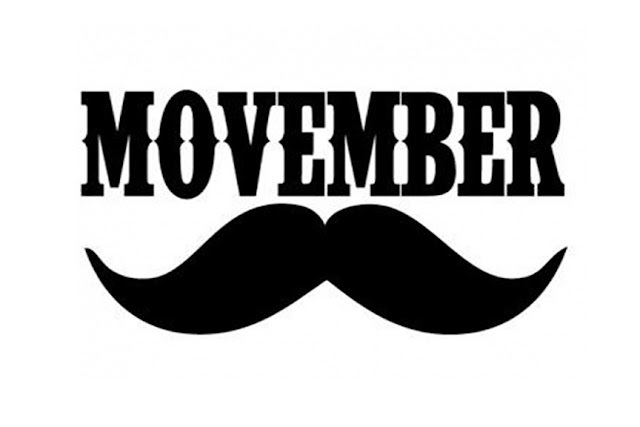 November is almost on us and that usually means two thing - men growing their moustaches to raise awareness of men's health issues and the sorry sight of many poorly kept moustaches. In many cases, the only reason why no one says anything is because of the respect they have for the cause they are supporting. Movember is undoubtedly a great cause and reason enough on its own. However, whatever is worth doing is worth doing well. 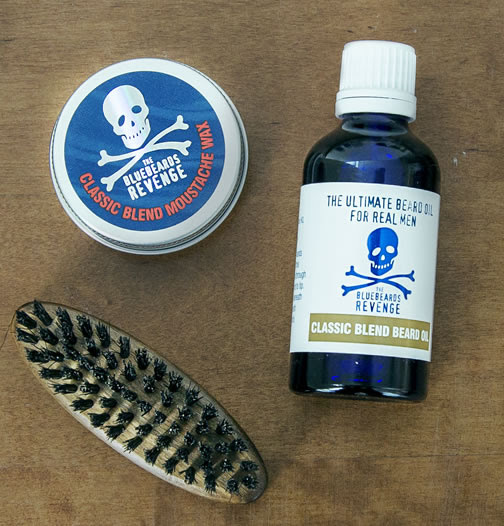 So we've teamed up two of the leading male grooming brands - The Bluebeards Revenge and Cornerstone - to bring you some grooming tips to keep your moustache in top shape. Chances are, your boss won’t take too kindly to you turning up for work looking like you’ve been lost in the forest for months, so a bit of mane maintenance is in order if you’re to keep everyone on side. Movember is the time to wave goodbye to the beard, as when sporting a quirky piece of facial fuzz, you’re going to want it to stand out. Before you do anything else, trim any unwanted hair down to a manageable length in order to avoid clogging your razor blade to the point of no return. Removing the bulk of it beforehand will make for an easier and smoother shave, which is exactly what you want when you need your moustache to do the talking. Prior to going in with the razor, slather on a generous layer of The Bluebeards Revenge Pre Shave Oil and leave to soak for ten minutes or so. This will soften the hairs up and prepare them for your shave, as well as enhancing razor glide and preventing nasty nicks and cuts. 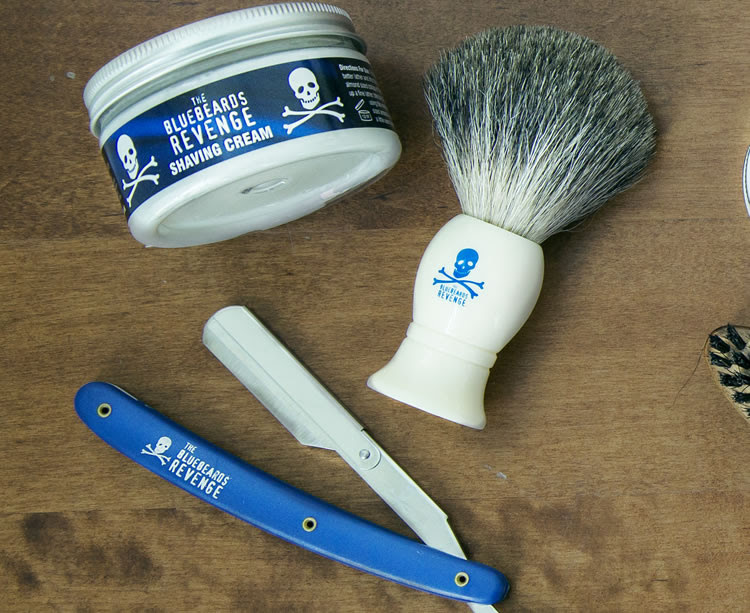 Whip The Bluebeards Revenge Shaving Cream into a lather and apply with a brush, coating and lifting each individual hair, before going in with your chosen razor. Follow up with a good post-shave balm to calm, soothe and moisturise the skin. In order to ensure that your moustache looks its best, you’ll want to give it a good trim, but first, you’ll need to decide on what sort of look you’re going for, as this will have a bearing on how short you want to go. Once your decision is made, dampen your moustache with a small amount of water and distribute evenly by running a moustache comb through the length, then hold a pair of scissors parallel to the ends of the hair. Trim all the way across, leaving a little extra length than desired – hairs will often appear shorter once dried, and you won’t want to ruin your look by getting too scissor happy. Once you’re satisfied with the length, shape the top and sides of your moustache as desired with a razor – this stylish replaceable blade straight razor, is a good option, as it allows for a greater level of accuracy and is easier to manoeuvre when there’s limited space to work with. For styling your moustache, it’s advisable to invest in a good quality styling wax. Warm a small amount between your fingertips and shape according to your chosen style. Twisting the ends and smoothing outwards and upwards will result in the slickest of styles! Now that you’ve got the moustache of your dreams (! ), it’s all down to the maintenance, but the odd trim every week or so should see you through. Time to get out and about and make some money from your mo’ – remember, it’s for a truly manly cause. Treat your moustache like your head of hair. What we mean by this is simply wash your moustache regularly. Make sure to get rid of any built-up grime or debris. Not only will this improve the moustache itself, it won’t smell which is the unfortunate side effect of getting morsels of today’s sandwich stuck in your ‘tache. Every so often, just splash your face with cold water and that should be enough, with a more in-depth wash before you go to bed. Trim, shave, and keep it tidy. You definitely don’t want your moustache looking as if you’ve just left it to grow because you can’t be bothered shaving. There are many styles you can go for, but maintaining even a simple style will require some precision equipment: beard trimmer, manicure scissors and transparent shave gel are all perfect sidekicks in your fight on stray facial hairs. Do not trim a wet moustache. This might seem counter-intuitive given all the shaving tips about using warm water to open pores etc. However, you’re not shaving at the skin-level, you’re merely snipping the hair. The added weight given to your 'tache makes it hang longer than it would normally. If you trim when wet, the moustache will eventually dry off and retract, leading you to realise that you’ve taken too much off, with nothing left to help salvage the situation. By trimming dry, you’ll see what it will look like normally, making it easier to judge hair length. A comb can be a man’s best friend, especially a moustache comb in this case. First of all, when trimming, using the comb to lift up the hair will make getting the right length of trim that little bit easier. Then once styling, you can use the comb to evenly distribute the moustache wax and help part your mo' in the middle. Use wax carefully to avoid a shiny dark line above your lip, but don’t be scared to use enough to create the desired styling effect. If you’re twirling the ends, imagine you’re snapping your fingers with hair in the middle, to get the perfect twirl. Your facial hair naturally draws moisture away from the skin. In order to avoid dry skin - dandruff in your moustache isn't a good look- you’ll need to moisturise underneath the 'tache on a daily basis. Remember though, that moisturising could lead to grime and blocked pores, so washing the moustache will become more important than ever.